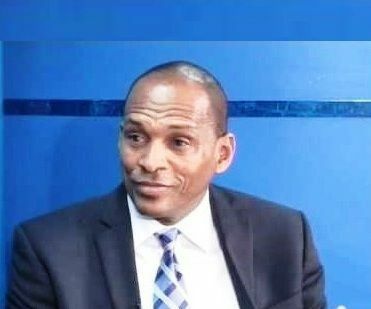 Hon Vanterpool was at the time speaking on the National Democratic Party’s (NDP), ‘Drive Time’ radio programme on September 3, 2018. The Project has been embroiled in scandal with at least three reports citing corruption, conflict of interest and no value for money, in addition to linking the Minister to not complying with financial policies. Hon Vanterpool noted in his speech earlier this week, that no Minister of Government, "despite the various rumours that have so loosely been spread, without any proof” have taken a dime from the controversial project. There have been three reports on the TPP; one from a Project Manager Hugh E. Darley, another from the Auditor General, Ms Sonia M. Webster and one from the House of Assembly’s Public Accounts Committee. In his political speech—that many described as spin—the outgoing Minister, who announced he will not run again for another term stated, “of course, some lessons were learnt, as should always be, to be utilized in future projects. But I am pleased, as Minister, to say to you as a people, that you have received value for money with this project”. In 2013/14 the NDP Government announced the cost of the project was around $45M to $50M, however it’s now over $85M a whopping $40M over run. 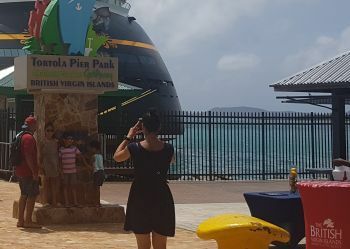 Civil society, the Virgin Islands Party and the media have all called on the former Governor to conduct a Commission of Inquiry into the project. Former Governor John S. Duncan OBE, had refused. Of course you didn't not!! You took millions. BOBO, you all can say what you want, if you don't have RECEIPTS, your accusations is DOA. Hitler and his henchmen men murdered many Jews and they are still being hunted down to this very day. Time longer than twine. Beware of who can whisper in your ear and shut ur A$$ up. Yes, and Europeans murdered and enslaved Africans and no one gives a damn and no one is hunting them down. Yes, good luck finding them. They are long dead. What you want to do - punish Europeans who are alive now, who might even be good people who give a damn? Will that make you feel better about history? Come u with substance. Who have receipts for stealing? Don't urinate in people and say it's precipitation. Why this man and the rest of the NDP crew stop lying!! Hey Mark, If there is no proof that you stole the money and you know you didnot do what they are accusing you of,then F**k what they have to say. Don't try to explain anything to these,yes,these set of diarrhea mouth people. You know how these people are and how they work. Typical Payton Place. Virtually every project in the BVI run into cost overruns.The cruise pier project is no different.Flawed estimates in my opinion.Why does Mark have to say he did not take one Penney.That was not necessary.No one said he took it . Exactly!!! I smell a rat right there. Why did he have to go as far as to say he didn’t take any of the money? To me given his position as the minister, this would have to go without saying! So the fact that he went as far as to make that particular and very personal statement...well frankly it is still ringing in my ears. If everything about him in relation to this project is above reproach then it shouldn’t even occur to him that he should say anything on that particular point isn’t. The people of these Virgin Islands need to push for that Tortola pier park audit report to come out!!! That thiefing scumdrel took millions and millions and millions more. That is why he head so! Guiltyness maybe resting on this mans' conscience. Who asked him about stealing money? But if not U then who ? Why he not running again? Every one of you who is calling Mark a thief is thief's also. How many times many of you have stolen things from your work place, supermarket, other people, your neighbor etc.. So how can you sit back and point fingers when you are doing the same thing. Hold up- I would suggest you don't judge everyone by your own actions, stealing is not something that is in any way normal to any persons. Unsure of your upbringing, however our community needs answers, when your involved in a project you become responsible and accountable. This is not a lot to ask. If Irma had not happened then this corruption would be continuing on just like any other regular day. Go sucknow a darn egg ancient be gone. The cruise ships are slowly returning and this same minister cannot get the rest rooms reopened at the Noel Lloyd park.......and residents of West End have to drive on terrible roads.........go sit down in shame minister. How will history record his tenure in office ? Anything that is done in the darkness, will sure nuf present itself in the light. Hey Mark, you did your Ex dirty, remember that? Mark we know you did not take one penny. Try millions of pennies. @struggling man. In Road Town is urenamed in the alleys when a rest room in the restaurants are bz full. Repent or meet Satan in the Inferno.